Email marketing is just as valuable as conventional SEO tactics and social media marketing when it comes to driving targeted traffic to your site and increasing your business’s sales figures. In fact, your business’s total e-mail subscriber count is a sort of litmus test for its growth and performance. Admittedly, a lot of businesses neglect e-mail marketing in favour of social media promotional campaigns but this is an unforgivable mistake. Even though the sheen of social media platforms might have eclipsed the value of e-mail, it is far from obsolete. In 2017, the number of e-mails sent and received per day totalled over 269 billion. Hence, it is no surprise that people still consider e-mail to be one, if not the most, of the most effective avenues for online marketing. Analytics is just as important for e-mail marketing as it is for measuring the effectiveness of your SEO strategies. There are several tools you can use to track the performance of your email marketing campaign. Aweber’s Email Tracking and Analytics is a great way for beginners to get started and the best part is that it is free for the first month. Though there are several valuable metrics, the four most important ones that you need to focus are Open Rate, Click-Through-Rate (percentage of recipients that click on your email links), Un-subscription rate and List Growth Rate. These metrics are absolutely essential for building an effective e-mail marketing campaign as they function like signaling factors which indicate what works and what needs to change. Low open rates imply that your subject lines are not captivating enough. A poor click through rate could mean that you are targeting the wrong audience or that your e-mail content is sub-par. In the same vein, a high un-subscription rate versus your list growth rate indicates that your e-mails are not providing any kind of value to your recipients. Finally, the list growth rate shows how well your e-mail marketing campaign is coming together. Watch these metrics closely and make the necessary changes on a periodic basis. At one point in time, e-mail was the dominant tactic for digital marketers. Now, social media is competing head to head with e-mail for the top spot. This is why you need to integrate e-mail marketing with your social media campaigns to make the best of both worlds. Start by uploading your list of subscribers to social networks like Twitter and Facebook. Follow this up by creating targeted ads for your subscribers and run re-targeting ads for those who click on your email links. You should also make a concerted effort to collect your social media followers’ email details from your existing pages and profiles. Although Twitter might have retired its lead generation cards, you can link your followers to a sign-up form in a tweet or include it in your bio. Similarly, you can use an app like MailChimp to embed a sign-up form on a tab in your brand’s Facebook page. Now, you can even create a call-to-action button on your page that re-directs people to a landing page for collecting their details. If you are reluctant to use third-party apps (which are highly recommended) you can simply include a link to a form in Timeline posts. It is worth mentioning that this works both ways. Therefore, make sure you remember to include social sharing buttons in your e-mails to drive more traffic to your site and raise awareness about your brand. The first e-mail you send to new subscribers should give them an overview about your organization, its products and services, and how it stands out from its competitors. Tell them how joining your e-mail list benefits them and what their next steps should be. After that, you can start sending them e-mails to encourage your subscribers to purchase your products or to sign up for a service. Make sure you provide some context to your adverts so that your subscribers understand the utility and value of what you are offering them. As and when your subscribers express their interest in your organization by clicking on your e-mail links, segment them into groups based on their areas of interest and geographical location. 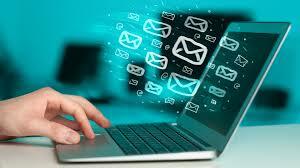 In this way your future e-mails can target them more effectively. You need not limit yourself to promotional emails only. Link your users to your best blog content or invite them to participate in competitions and give-aways. It is a widely known truth in the marketing industry that the best ads are those that do not sound like ads. This is why native advertising is extremely important in context of e-mail marketing although it is obviously not suitable for all kinds of businesses. Even with truly stellar content, few people will want to subscribe to your newsletter unless you tempt them with additional incentives like discounts, promotional codes, free shipping or access to exclusive content. Secondly, tell your potential customers about the content that they can expect to receive and how frequently you will be mailing to them. Remember to stick to your promises otherwise you will start bleeding subscribers in no time. Apart from the above mentioned incentives, you will also have to make it easy for people to subscribe to your mailing list. Display the opt-in form at an easily visible location on your web-page, use pop-ups, and overlays to encourage visitors to join your mailing list. Basically, do everything you can to minimize the number of clicks to subscribe to your e-mail newsletter.